Are you both iPhone user as well as WhatsApp user? Well, you are in the right place then. I’m about to share you trick that you can do on WhatsApp – that you may need to use it one day – replying incoming WhatsApp messages without someone on the other side seeing you online on WhatsApp. But why you want to do that? Well, there are numerous reasons for that. Some of them are because you want to keep appearing offline on your WhatsApp, you want to avoid or hide from someone on WhatsApp or you just too lazy to open WhatsApp app itself. In case today you haven’t use WhatsApp, do give it a try. It’s FREE anyway. 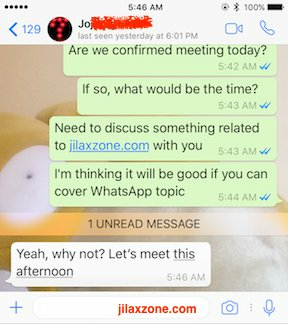 For other tips and tricks related to WhatsApp, do check here: https://www.jilaxzone.com/?s=whatsapp. This trick works only if you are enabling notification on your iPhone and only if someone is texting you. Do 3D touch WhatsApp message appear on the notification screen that you wanted to reply. 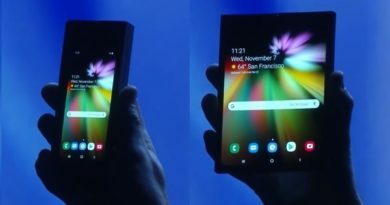 Bring up the notification center (on iPhone X, swipe from bottom to top, on other iPhone before iPhone X, swipe from top to bottom) and do 3D touch WhatsApp message appear there on notification center that you wanted to reply. 2) A message box shall appear. Type anything you like and tap Send when done. 3) Your message will be sent to whoever send you the WhatsApp message in the first place and at the same time, the last online status of yours doesn’t change. It still show the last time you opened WhatsApp app. So what do you think? Just because you wanted to hide/avoid someone on WhatsApp, doesn’t mean you have to ignore the rest, right? With this trick, you can hide/avoid certain people but at the same time still actively replying incoming WhatsApp messages from someone you don’t hide/avoid from. Hi, thanks for reading my article. I do spend my time and efforts writing this article based on my own experiences for my own journal as well as to share the knowledge to whoever read it so hopefully they can get the benefit out of it. 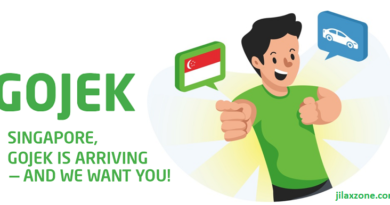 Get FREE $65 Plus Other Interesting Rewards If You Start Walking & Exercising – Singapore National Steps Challenge Season 4 is here!